Ingress - Game or an Exercise App? Ingress – Game or an Exercise App? Ingress – Game or an Exercise App? In case you don’t know what Ingress is, it’s a GPS based, MMO augmented reality game (fuller explanation on Wiki here). You chose a faction and have to hack or capture portals for your team. Portals are user submitted real world locations – things like statues, landmarks, theaters, fountains and even railway stations are possible and, as with many games, there are achievements available for submitting new portals. Niantec has even added missions to be accomplished in game now also. It’s based on Google maps and you will need to keep your phone’s location service running so it can locate you in the game world, but that means your battery takes a bashing! That’s easily solved by buying yourself one of those external battery packs. Cold has the RAVPower Deluxe External Battery Charger 14000 mAh which keeps his iPhone charging whilst he is still playing. The local group also recommends the Anker brand battery packs to its’ members but you do need the 10000 mAh or better. The smaller ones may be cheaper, but they only prolong your battery life rather than recharging while also playing. The gre at thing about Ingress is the community that is growing around it. St Louis has a pretty good Google+ group for the Enlightened faction who have meet-ups and newbie evenings as well as excursions and planned field building events. I’d imagine there are similar groups for both factions in cities all over the world and indeed, some have managed to organize themselves in order to make huge fields across international borders too. A field is a triangle of 3 portals linked but without the links crossing any other links. Can you imagine a link from Alaska then to Texas & then to Hawaii? How much organisation must that have taken? Yikes! It’s mind-boggling to say the least. Living in the city means that we have a pretty good public transport system and many portals within range so anywhere we walked, we hacked and captured portals along the way. I even found myself going out for a walk just to play the game! 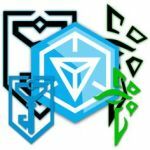 If you knew how anti-exercise I’ve always been, you’d realize why many people have commented that Ingress is a disguised exercise app for nerds and geeks! It even keeps track of your distance traveled within your game statistics. 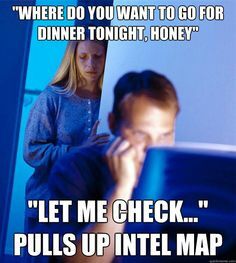 And yes, deciding where to go for a day out or where to eat did involve checking the Intel map occasionally! Luckily we’re both gamers, so we didn’t have to explain to each other! There’s also a Comms system within the game so you can chat to friends, receive alerts when your resonators are under attack, or just watch the main feed to see where the other team is working. It was strange to see the same names pop up at certain times during the day as they passed our area. I guess they were on their way to work or picking kids up from school. You get to the point where you see a name from the opposing faction and you just know you have to defend your portals if you can and believe me, these unknown names will become ‘enemies’ and you will swear at them a lot and repeatedly! So my first impressions were a little bit ‘Is that it?’ but the basic simplicity of the game belies a much deeper level of game play that is possible if you really get hooked. But don’t forget to get your battery pack & a decent set of walking shoes – you will need them! I also recommend getting your cell phone friendly winter gloves so you are ready for hacking in the cold weather. Don’t all Ingress agents plan dinner reservations around where the best flash farming spots are?